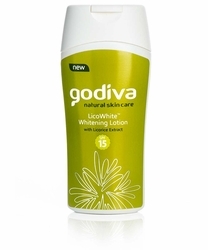 Godiva LicoWhite™ Whitening Lotion with SPF15 helps even out skin discolorations caused by age, scarring and pregnancy. It provides sun protection as it moisturizes to keep skin soft and smooth. 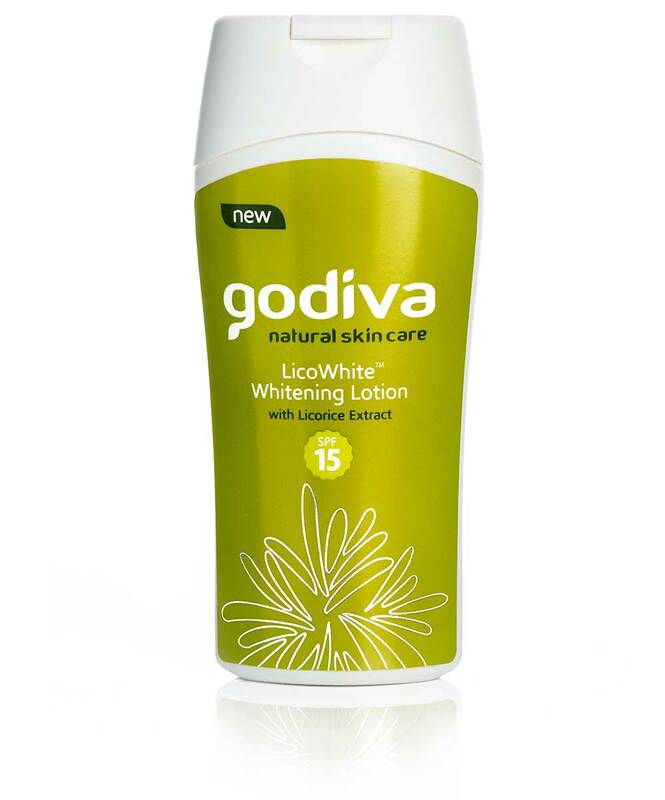 Godiva LicoWhite™ Whitening Lotion with SPF15 contains Glabridin, a powerful skin whitening ingredient from licorice extract that is both effective and gentle to the skin. It is safe for continued use for longer-lasting whiter skin. Contains Glabridin, a powerful skin whitening ingredient from Licorice Extract. brightening ingredient with results in as early as 7 days. Paraben Free. Safe even for long term use. 1. Apply morning and evening on body, arms and legs. 2. For face, neck, and other sensitive body parts, use Godiva LicoWhite Cream.